We recommend a minimum 4 night stay to allow time to enjoy the diversity of the area and to ensure you maximise your chance of finding the birds on your wants list. The self-contained accommodation at Kingfisher Park Birdwatchers Lodge consists of 4 standard units plus 2 two-bedroom units. 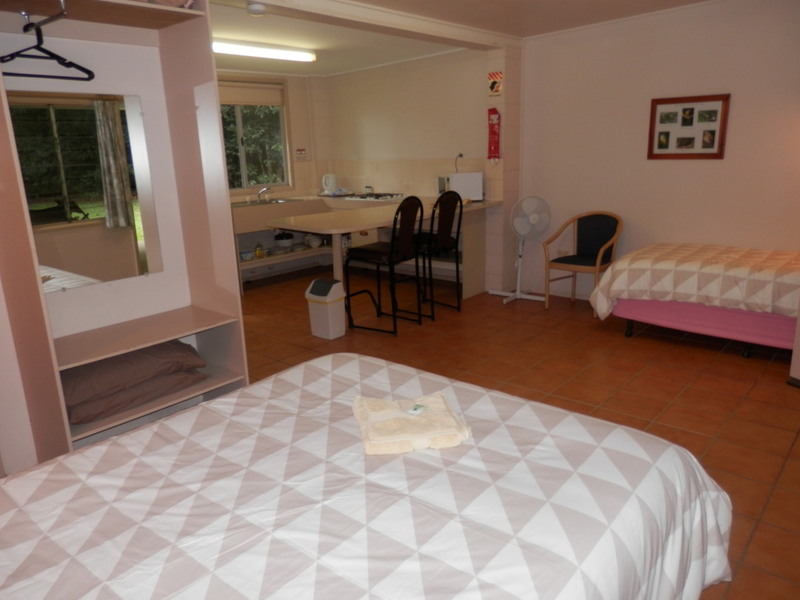 The standard units are a good size and have a double or queen bed and a single bed. 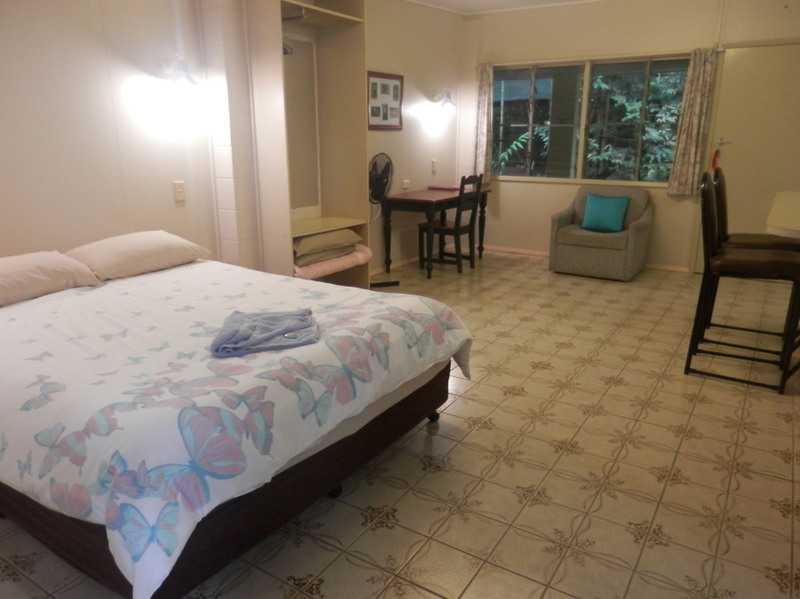 The larger, more private two-bedroom units have a double or queen bed in one bedroom and two single beds in the other; an extra single bed can be added if required, there is also a dining table and a settee. Note:- If you don't want to cook the Highlander Tavern is only 1.5km away, they have a good menu at reasonable prices. Alternatively there is the National Hotel in Mt. Molloy which is 10km away and also serves good food. 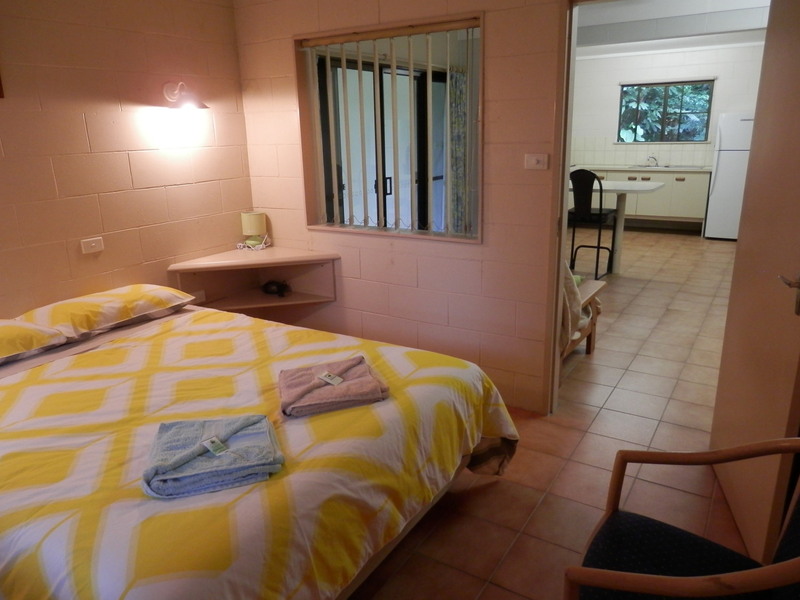 A minimum stay of 2 nights applies to all unit accommodation. 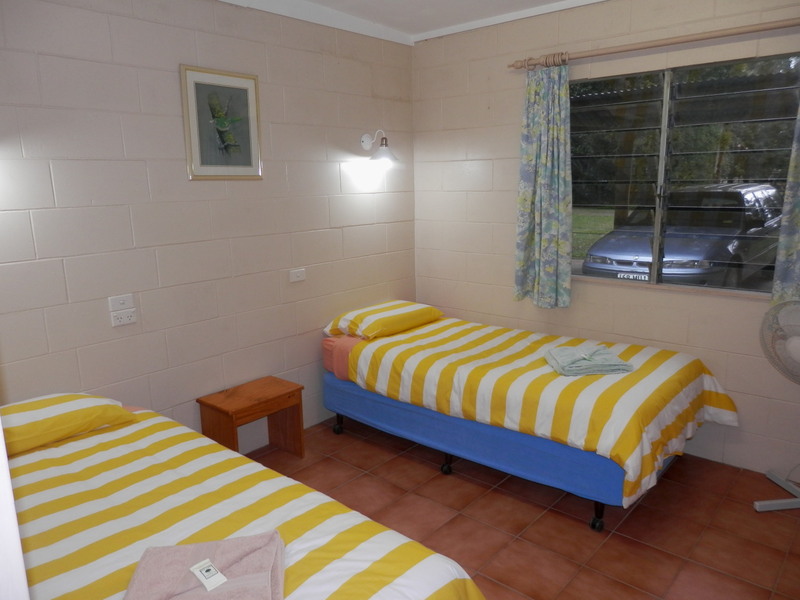 The bunkhouse has 3 twin rooms plus 1 large double room. The twin bunk-rooms have 2 beds with security lockers underneath. The double bunk-room has a double bed, table and chairs, cold water sink and a kettle. All the rooms are lockable and there is a $20 cash deposit on the key. NOTE:- These rooms are basic but better than a tent, hence the budget price. 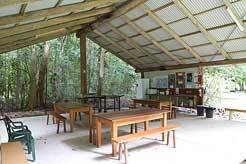 The toilets, showers and cookhouse facilities are in separate buildings. 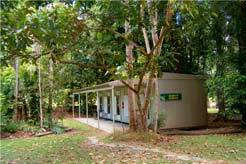 The camping area is now closed for the Wet Season and will open again on 1st May 2019, weather permitting. We have a small, seasonal camping area so limited camping is available between May and December. We do not have drive through sites and so do not take caravans or campervans over 6m/20ft. The camping area may be closed in periods of rainy weather. Please check for availability before you arrive. The site cost for camping is $22 per person per night and power, if required, is $6 per site per night. A 10% discount applies to site fees for stays of 7 nights or more. The cookshed and amenities block are shared with the bunkhouse guests. Check-in is 2.00pm and check-out is 10.00am. Check-in is between 2.00pm and 6.00pm for all guests, unless by prior arrangement. If you are going to arrive after 6.00pm please advise us as we may not be available. If you arrive earlier than 2.00pm you can explore the grounds but your room or site may not be available. Please do not arrive before midday, 12.00. Check-out is from your room or site by 10am - in busy months this is strict due to the high turnover of guests, in the quieter months a slightly later check-out time might be possible by prior arrangement. Once checked out all guests must leave the property by midday, 12.00. We will endeavour to reply to email bookings promptly, however, sometimes emails go astray or maybe our internet connection is down. If you don't hear from us within two days, please send another email or contact us by phone. Neither the accommodation or the property at Kingfisher Park Birdwatchers Lodge is suitable for children under the age of ten. Older children with an interest in birdwatching and natural history are welcome, but those not interested may get bored as there are no facilities such as TV, swimming pool or reliable mobile phone reception. Coin operated laundry with washing machine and dryer. Iron and hair dryer available on request. Wireless broadband internet is available (small fee applies). NO PETS are allowed for the sake of the wildlife on the property. Credit cards accepted are MasterCard and Visa. We cannot take American Express.